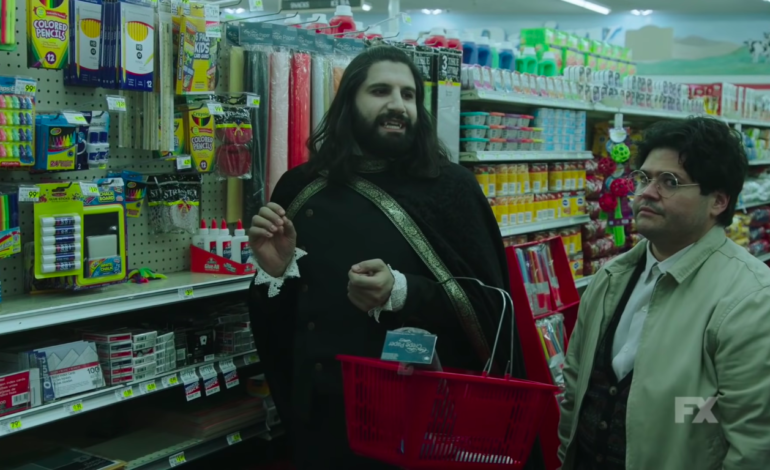 FX’s What We Do in the Shadows aired its pilot episode Wednesday March 27th, and it was everything fans had hoped for, and more. Creators Jemaine Clement and Taika Waititi, who also made the original film by the same name, broadened the world that was shown in the movie by including the vampires’ understanding of and relation to movie portrayals of vampire characters. In order to increase the storyline to 10 episodes and reel in new fans, the creators have added some elements that fans will surely love. In the original film, the vampires live in New Zealand and not much is said about the life of a familiar, or human, who is enslaved by a vampire. In the series, they live in New York on Staten Island and their characters take on a sitcom-like element as their everyday lives are shown in all its drabness and humor. This leads to the next difference between film and series that was expounded upon: the relationship between Nandor and Guillermo. “We hadn’t explored the master-familiar thing very much in the film, and we always thought there was more in it,” Clement claimed. “It’s a classic comedy dynamic, where Nandor keeps him strung along just enough to keep working for him. I think of it as like a good assistant; it’s hard for someone who’s good at that job to be promoted.” However, at the end of the pilot episode, it is clear Guillermo will not get what his heart desires — to become a vampire — even after serving Nandor for 10 years. Clement added that this will be an ongoing thread in the plot line: whether Guillermo will ever get his wish. Watch the hilarious first look footage below to see some behind-the-scenes and further explanations of the characters and what the series will entail.